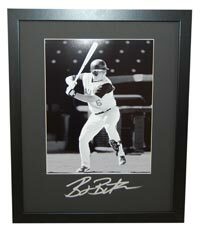 Autographed Frame Mats are mats signed and mounted with unsigned photos. Mat sizes are 11x14 and 16x20. 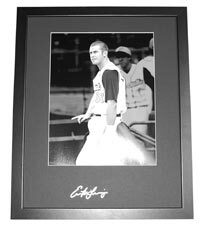 The great thing about this product is that if you don't like the photo that comes with the mat, you can easily replace it and still have a beautiful framed and autograph item of your favorite player! Most frame mats come with the option of purchasing unframed so that you can purchase your own frame.